The health benefits of lemon are due to its many nourishing elements like vitamin C, vitamin B6, vitamin A, vitamin E, folate, niacin thiamin, riboflavin, pantothenic acid, copper, calcium, iron, magnesium, potassium, zinc, phosphorus and protein. It is a fruit that contains flavonoids, which are composites that contain antioxidant and cancer fighting properties. It helps to prevent diabetes, constipation, high blood pressure, fever, indigestion and many other problems, as well as improving the skin, hair, and teeth. People use it to make lemonade by mixing lemon juice and water. Many people also use it as a washing agent, because of its ability to remove stains. 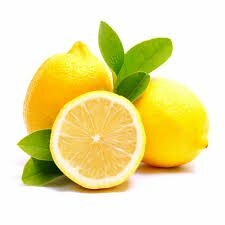 The scent of lemons can also repel mosquitoes, while drinking lemon juice with olive oil helps to get rid of gall stones. It is well known for its medicinal power and is used in many different ways. As per the results reported in a study by the Annals of the Rheumatic Diseases, lemon provides protection against inflammatory polyarthritis and arthritis. Lemon juice helps to cure problems related to indigestion and constipation. Add a few drops of lemon on your dish (take care, it does not go well with milk), and it will aid in digestion. It acts as a blood purifier and a cleansing agent, so a good drink after lunch or dinner is fresh lemon soda, which is also called fresh lime soda in many places. The recipe is lemon juice, cold water, soda, salts (common salt or rock salt) and sugar/honey for sweetness. You can also add some mint leaves or crushed fennel seeds for added flavor. Drink this whenever you have a heavy lunch or dinner.